Content Marketing is the process of creating unique, relevant, exciting and engaging contents, and distributing the contents across several channels, with the aim of attracting new customers and retaining the existing ones. A good content marketing strategy can help you to engage your target audience, drive profitable customer actions, and enhance customer behaviour. In other words, content marketing helps to strategically deliver your contents to all the places where your target audience are looking to find them. Contents can be in the form of articles, web contents, eBooks, white papers, short videos, slides, infographics and guides. give your audience more reason link to you and share your content. Why choose TopYouGo for your Content Marketing? TopYouGo specialises in creating fresh and unique contents that can engage your targeted audience, encourage actions, and help to achieve the best results. We will review and research your audience, create an actionable content marketing strategy based on our research and analysis, create relevant contents and promote it across multiple channels, to generate leads. We will also define the objectives and Key Performance Indicators (KPIs) of your content marketing campaign so that you can easily tell if your content marketing strategy is delivering or not. We use Google and other web analytics to monitor your campaign, and to see what contents engage and converts more. We are result-driven, so be assured of high ROI! Let us create a highly profitable and rewarding content marketing strategy for your business! How often do I need to create contents for content marketing? The answer to this will differ from one business to another. A few businesses write and publish contents daily, some weekly, and others monthly. The key factor is to determine how often you want to connect with your audience through shareable and informative contents. It is always good to also consider other digital marketing channels and how they can be incorporated into your content marketing strategy. This will help determine how often you need to write contents. If you are unsure, please contact us to speak to one of our experts. Should all contents created be current and relevant to my business? Absolutely! Your content is another medium through which you can convey your brand message and company vision. It will be easier and helpful to create contents that are targeted towards your audience, so you do not attract the wrong audience. Your audience will interact and engage more with your contents if they are fresh, unique and current. Is it too late to start content marketing for my company? No. Contact us so we can review your business objectives and come up with a tailored content marketing strategy. Can you provide the contents as well as marketing the contents for us? Yes. 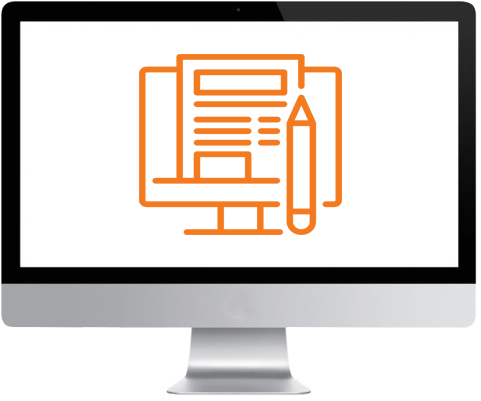 We can create a tailored content marketing strategy for your business and then implement the strategy on a monthly basis. We can write top notch contents as per your business requirements. Have further Questions or want to know more?